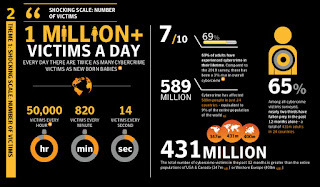 Cyber Crime is a fast-growing area of crime.More and more criminals are exploiting the speed, convenience and anonymity of the Internet to commit a diverse range of criminal activities that know no borders, either physical or virtual, cause serious harm and pose very real threats to victims worldwide. 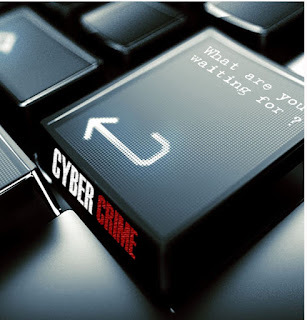 What is the Cyber Crime? Cyber crime encompasses any criminal act dealing with computers and networks (called hacking). 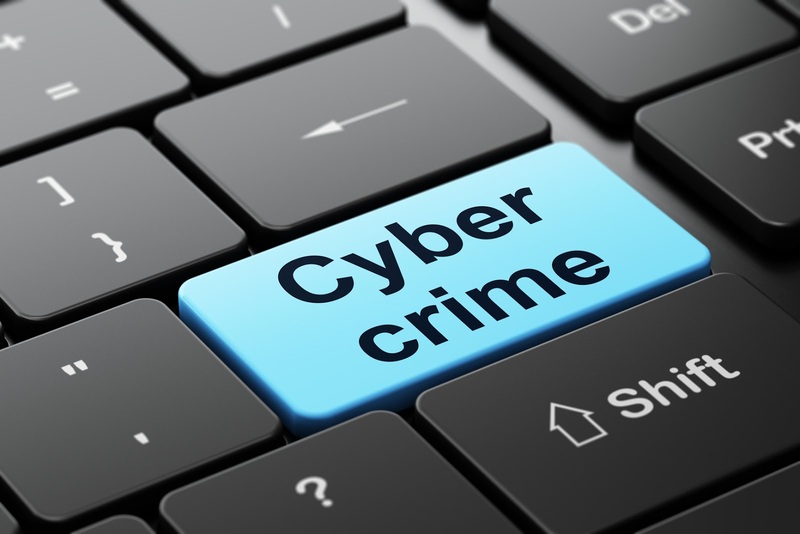 Additionally, cyber crime also includes traditional crimes conducted through the Internet. For example; hate crimes, telemarketing and Internet fraud, identity theft, and credit card account thefts are considered to be cyber crimes when the illegal activities are committed through the use of a computer and the Internet. This is one of the detestable malware-based attacks. Ransom-ware enters your computer network and encrypts your files using public-key encryption, and unlike other malware this encryption key remains on the hacker’s server. Attacked users are then asked to pay huge ransoms to receive this private key. DDoS attacks are used to make an online service unavailable and bring it down, by bombarding or overwhelming it with traffic from multiple locations and sources. Large networks of infected computers, called Botnet are developed by planting malware on the victim computers. The idea is normally to draw attention to the DDOS attack, and allow the hacker to hack into a system. Extortion and blackmail could be the other motivations. Botnet are networks of compromised computers, controlled by remote attackers in order to perform such illicit tasks as sending spam or attacking other computers. Computer Bots can also be used act like malware and carry out malicious tasks. Then can be used to assemble a network of computers and then compromise them. Spamming and phishing are two very common forms of cyber crimes. There is not much you can do to control them. Spam is basically unwanted emails and messages. They use Spam bots. Phishing is a method where cyber criminals offer a bait so that you take it and give out the information they want. The bait can be in form of a business proposal, announcement of a lottery to which you never subscribed, and anything that promises you money for nothing or a small favor. There are online loans companies too, making claims that you can get insecure loans irrespective of your location. Doing business with such claims, you are sure to suffer both financially and mentally. Phishing has its variants too – notably among them are Tab-nabbing, Tab-jacking. and Fishing and Smashing. Such spamming and phishing attempts are mostly emails sent by random people whom you did not ever hear of. You should stay away from any such offers especially when you feel that the offer is too good. The US Cyber crime Center says – do not get into any kind of agreements that promise something too good to be true. In most cases, they are fake offers aiming to get your information and to get your money directly or indirectly. Malvertising is a method whereby users download malicious code by simply clicking at some advertisement on any website that is infected. In most cases, the websites are innocent. It is the cyber criminals who insert malicious advertisements on the websites without the knowledge of the latter. It is the work of advert companies to check out if an advertisement is malicious but given the number of advertisements they have to deal with, the malverts easily pass off as genuine ads. In other cases, the cyber criminals show clean ads for a period of time and then replace it with malverts so that the websites and advertisements do not suspect. They display the malverts for a while and remove it from the site after meeting their targets. All this is so fast that the website does not even know they were used as a tool for cyber crime. Malvertising is one of the fastest, increasing types of cyber crime. PUPs, commonly known as Potentially Unwanted Programs are less harmful but more annoying malware. It installs unwanted software in your system including search agents and toolbar. They include spyware, adware, as well as dialers. Bitcoin miner was one of the most commonly noticed PUPs in 2013. Drive By Downloads too, come close to malvertising. You visit a website and it triggers a download of malicious code to your computer. These computers are then used to aggregate data and to manipulate other computers as well. The websites may or may not know that they have been compromised. Mostly, the cyber criminals use vulnerable software such as Java and Adobe Flash and Microsoft Silver light to inject malicious codes as soon as a browser visits the infected website. The user does not even know that there is a download in progress. Remote Administration Tools are used to carry out illegal activities. It can be used to control the computer using shell commands, steal files/data, send location of the computer to a remote controlling device and more. A vulnerability means some problem in the coding of a software that enables cyber criminals to gain control of your computer. There are ready to use tools (exploit kits) in the Internet market which people can buy and use it against you. These exploit kits are upgraded just like normal software. Only difference is these are illegal. They are available mostly in hacking forums as well as on the Dark net. Notable among Internet scams are, scams which misuse the Microsoft name and other general tech support scams. Scammers phone computer users randomly and offer to fix their computer for a fee. Every single day, scores of innocent people are trapped by scam artists into Online Tech Support Scams and forced to shell out hundreds of dollars for non-existent computer problems.